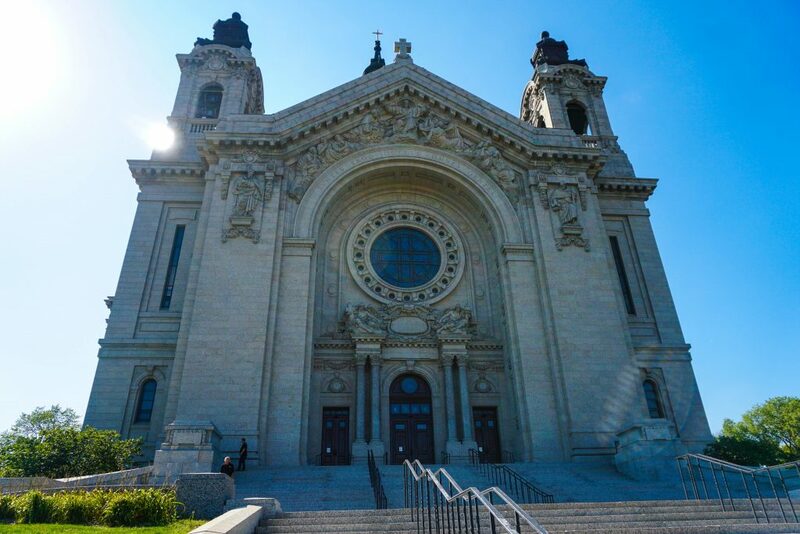 St. Paul, MN- Completed in 1915, St. Paul, Minnesota’s massive Cathedral of St. Paul is the country’s largest church outside of New York and Washington, D.C. Its Saint Cloud granite exterior walls are matched in grandeur by the American Travertine marble coating the 3,000-capacity interior, which reaches 175 feet up to a dome nearly 100 feet in diameter. It’s a big, reverberant space. “If you took the Statue of Liberty off its pedestal and set it in here, it would fit under the dome,” observes Randy Keeley of St. Paul AV systems integrator Metro Sound & Lighting. “And everything within this space is very reflective: Travertine marble all over the walls and floors, hardwood pews, different angles, glass-you’ve got sound literally going everywhere.” These are not friendly acoustics for any kind of amplified sound, yet a sound system is the only way every worshipper can hear what is being said and sung. It’s a tough problem but all in a day’s work for Metro Sound. “In the more than 40 years since Metro Sound’s founding, we have performed installations in numerous churches and spaces with tough acoustics, so we understood the nature of the challenge,” Keeley explains. Keeley’s solution was a left/right system of two Renkus-Heinz ICONYX Gen5 IC32-RN digitally steerable line arrays, which enabled him to keep sound off the walls and on the congregation. 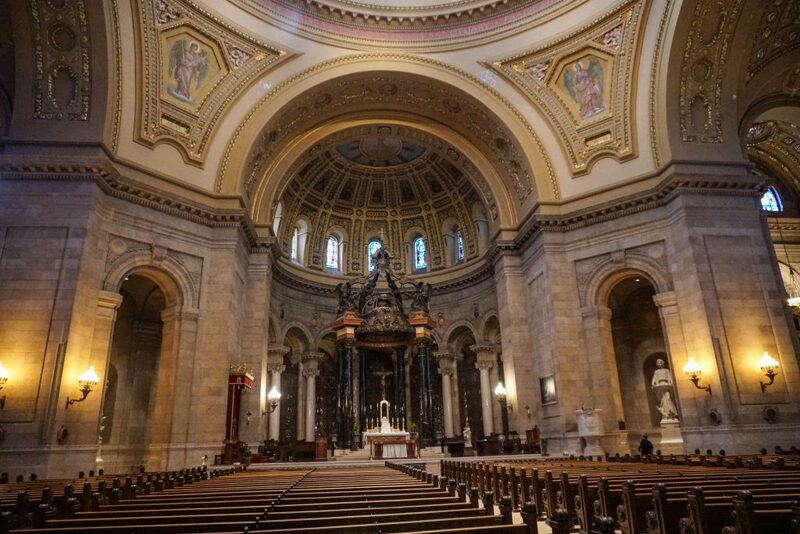 To preserve the cathedral’s aesthetics, the loudspeakers were color-matched to the marble. Every IC32-RN houses 32 purpose-designed, 4-inch coaxial transducers, each with its own amplifier and DSP channel. Each coax transducer is paired with an “array within an array” of three tweeters, an arrangement that reduces the distance between high-frequency sources, yielding consistent, broad horizontal dispersion and greatly improved high-frequency performance. Under software control, powerful onboard DSP can form, shape, and aim sound in up to 16 separate beams from a single IC32-RN. 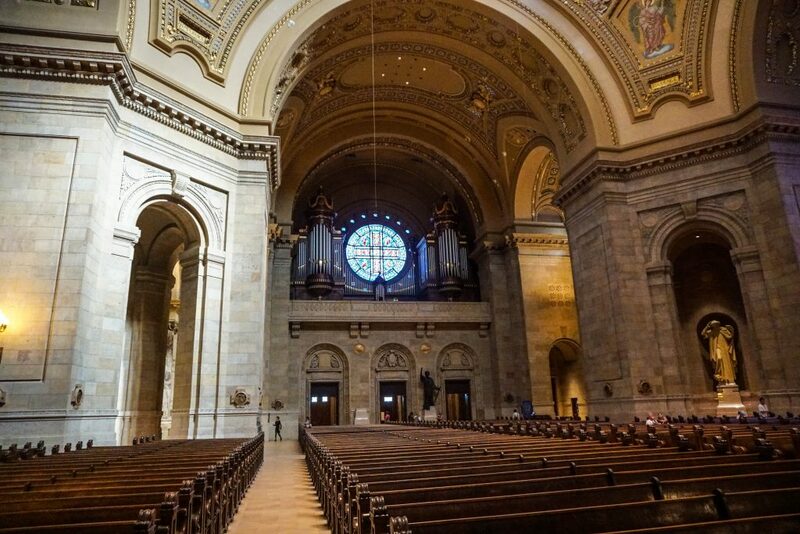 With a typical throw of 270 feet, the IC32-RN easily fills the 216 foot-wide cathedral.”With Renkus-Heinz ICONYX, we can steer beams vertically to keep them in the listener areas and try to prevent energizing any more of the space than we need to,” Keeley explains.